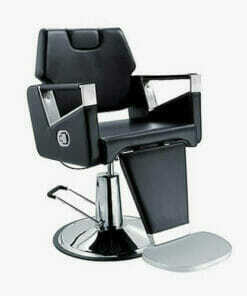 Crewe Orlando Tobago Barbers Chair. 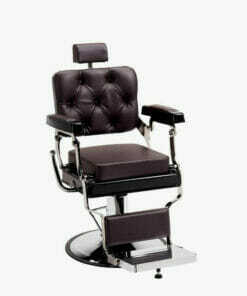 Traditional barbers chair with a stylish design and durable build. 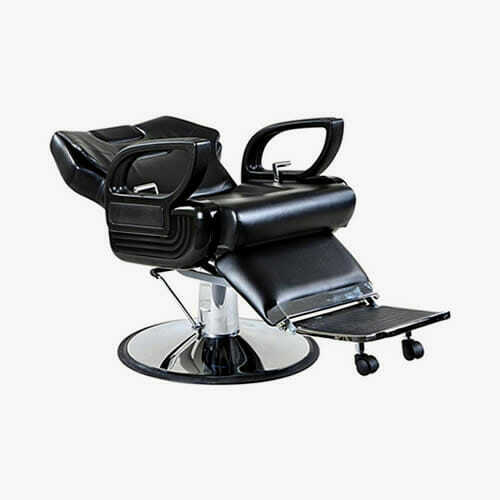 The Crewe Orlando Tobago Barbers Chair features an adjustable headrest, reclining back and standard fixed footrest on two castors. 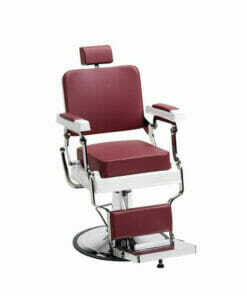 It is supplied on a heavy duty locking hydraulic base. Giving excellent stability and allowing an easy height adjustment using the foot lever. 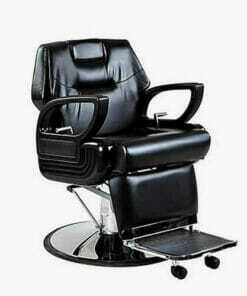 Upholstered in a hard wearing black fabric as standard. 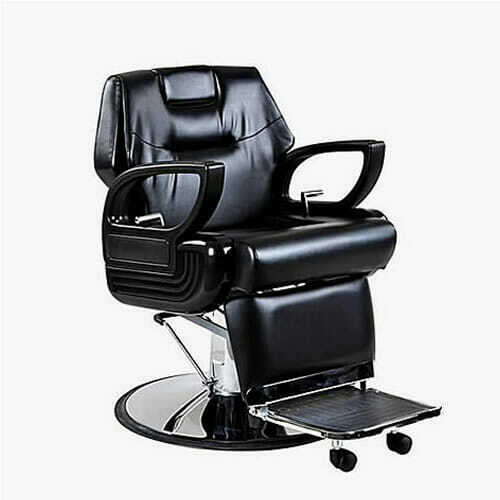 Ideal for any busy barbers shop. Dimensions: Width – outer: 67cm & Inner: 54cm. Depth – min 90cm & max 140. Height – min 58cm & max 71cm.